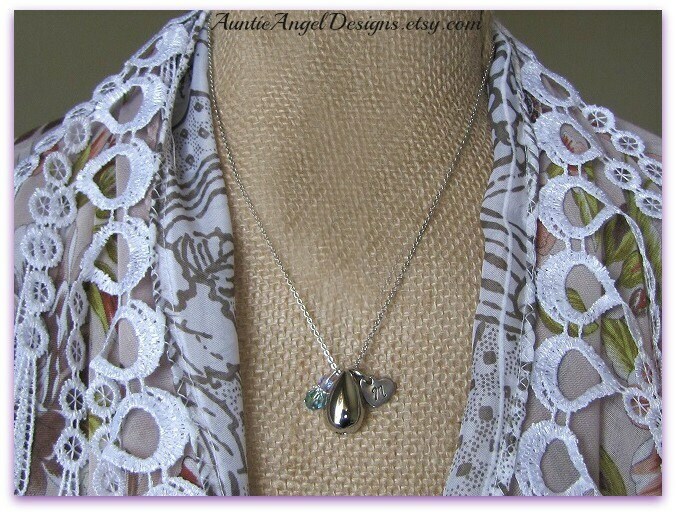 My exclusive teardrop cremation urn necklace is crafted from a quality stainless steel teardrop cremation urn pendant, a genuine Swarovski crystal-faceted and Alexandrite crystal-faceted bead dangle, and a tiny stainless steel heart monogram tag hand-stamped on both sides of the heart charm by me. This unique memorial keepsake is used to cherish a small amount of your loved one's cremated remains. The teardrop cremation urn pendant measures 3/4" tall and is strung on an 22" stainless steel cross link chain. (Note, the photograph shows a different style chain, no longer available. The current chain is shown on the backer card. 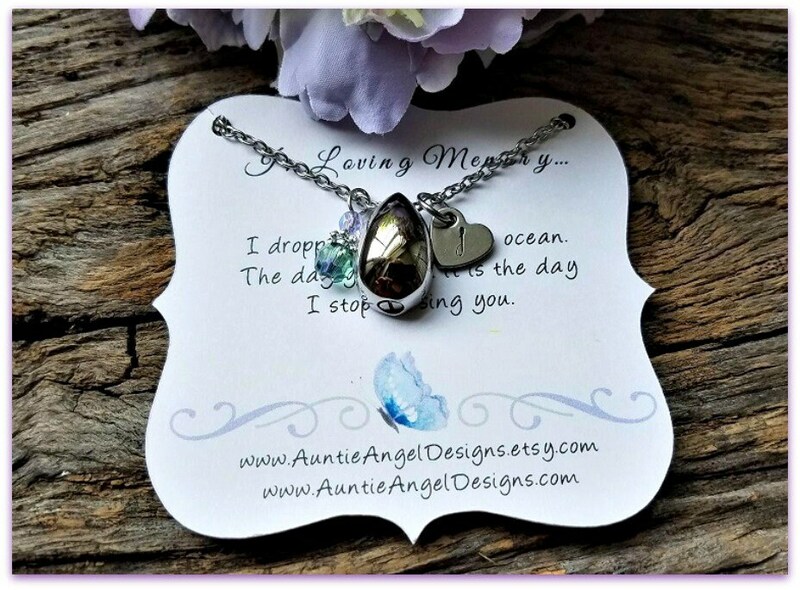 Your precious keepsake necklace arrives on my specially designed backer card, which reads: "I dropped a tear in the ocean. The day you find it is the day I stop missing you." 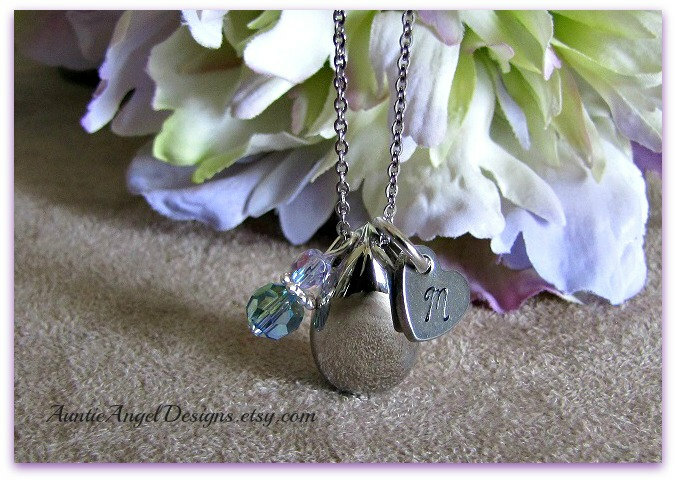 I include a funnel kit for you to transfer a tiny amount of your loved one's precious cremains into the pendant urn. 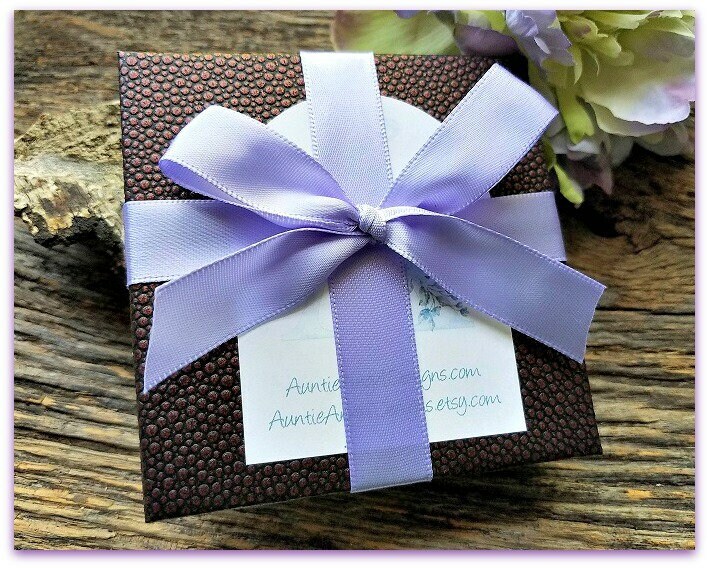 This personalized teardrop cremation urn necklace comes beautifully gift-boxed with ribbon and is ready for gift giving. It was a very gorgeous pendant. Thank you so much. 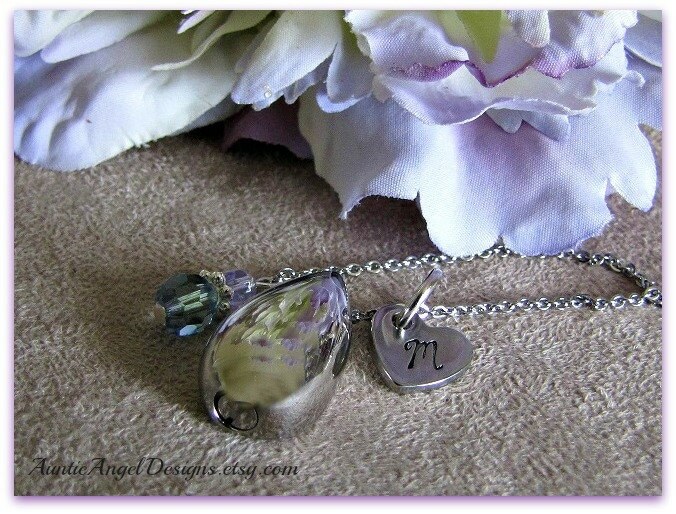 I was blessed to find this beautiful gift for a friend that had just lost her beloved dog. Jean was an angel to order from and this gift arrived to my friend in just a few days. I couldn't be more pleased and grateful to Jean. Her work is phenomenal! Lovely item, great customer service, fast shipping, packaged beautifully. What a meaningful gift!